I would like to receive occasional information and updates from Spring Ball & Gala Auction and jumblebee. 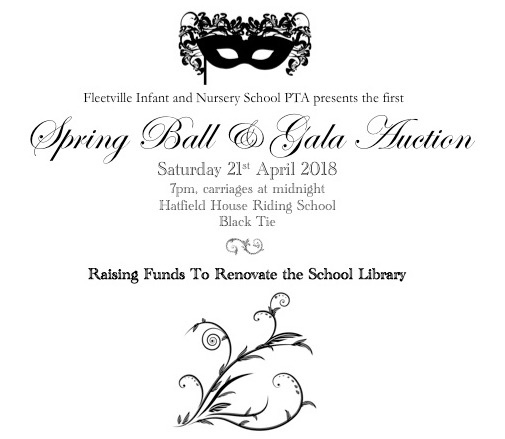 Welcome to the Gala Auction List, in aid of Fleetville Infant & Nursery School library renovation project organised by the PTA. On Saturday 21st April we are hosting our first ever black tie Spring Ball & Gala Auction at Hatfield House. The ball and auction are to raise money for the exciting renovation project in the school library. All money raised from this auction will go towards transforming the library space so it better meets the needs of the children and staff. These exciting plans are in development and will be unveiled soon. The auction items on this page will be open for bidding online until 9:15pm on Saturday 21st April 2018. Bidding will continue during the ball in the evening where a leaderboard will be displayed. If you can't make the ball give yourself the best chance of winning an item by placing a proxy (maximum) bid here. If your maximum bid has been over-taken by another bidder you will be sent an email and can then log on and bid higher if you are still keen to secure the item! The auction is open to all, whether you are attending the ball or not, and isn't limited to those at school. Please share with family & friends, colleagues & neighbours, and any auction enthusiasts you know! Spread the word as there is such a wide range of auctions items so there is sure to be something for everyone! Lets make a wonderful contribution to the library renovation project challenge! Winning bidders will be contacted after the auction closes. Payment will be via bank transfer, cash or cheque. This auction is open to all, not just attendees of our Spring Ball on the 21st April 2018. Please share with friends & family, colleagues & neighbours. Let's make a wonderful contribution to the exciting library building project. Who doesn't love Taylor Swift? You are bidding on two tickets to see Taylor Swift at Wembley Stadium on Saturday 23rd June 2018 at 7pm. These are highly sought after tickets and they are like gold dust to buy. Don't miss out on these tickets - premium seats with a great view! Capturing memories of your growing family is always important. You are bidding to do just that with this studio shoot session with Photographic Synergy at their studio at Willows Farm. This package also includes a £250 gift card to redeem against any products from your shoot such as photographic prints, desktop frames, wall decor, digital images and more. This is perfect for families, babies, pets or as a treat for yourself. You need to register your voucher within 2 weeks of winning the auction and book the session within 4 weeks but you are free to take the session any time in 2018. Time to have a makeover and get a photoshoot at the same time! You are bidding on the opportunity to pamper yourself with a full hour of professional hair and makeup before a fantastic hour photography session in Photographic Synergy's state of the art studio. This could be a wonderful treat for yourself or a fantastic experience for mums and daughters. You'll also receive a 10x8 inch framed portrait of your favourite image from the shoot. You are welcome to enjoy the session yourself or you can bring a friend or family member to share the experience. You will even get a glass or two of bubbly upon arrival. You are bidding on up to a 7 night stay in an apartment in Benalmadena. It is a home owned by the family of children at our school and they have generously donated up to a 7 night stay. It is a 2 double bedroom apartment (with additional camp beds) that is fully kitted out. It has 2 bathrooms, 1 of which is ensuite. There is a dining room, living room and access to a shared pool in the complex. It is in a lovely area that is generally not busy as many of the residents are Spanish, but only a short walk to the town and beach. Benalmadena is a town on southern Spain's Costa del Sol, known for its beaches and Tivoli World theme park. The modern Puerto Marina is home to Sea Life Benalmadena aquarium and moored yachts. In the traditional Andalusian old town lie the Castillo Monumento Colomares, a castle style monument dedicated to Christopher Colombus and his discovery of America. If you would like more information on this item before you bid please contact the auction and we will answer your questions or put you in touch with the owner if necessary. You will be welcome to travel to the apartment for up to 7 nights at any time provided the family does not already have a trip planned. You will be responsible for flights and all other travel - you can fly direct to Malaga airport from Luton. It is the accommodation only you are bidding on. Looking to keep your family fit? 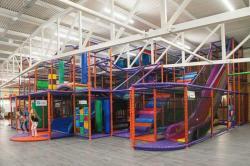 You are bidding on a one month family membership for Nuffield gym in St Albans for up to 2 adults and 4 children. Nuffield, St Albans is easily one of the best gyms in the whole of Hertfordshire. The Nuffield Health & Wellbeing Centre St Albans offers the very best facilities for all gym goers. The gym has a large free weights section, a plethora of resistance machines, a dedicated functional fitness area as well as plenty of cardio machines including treadmills, cross trainers, spin bikes and rowing machines. The expert staff are on hand to answer any questions you may have to help you on your fitness journey. The centre has 2 swimming pools, a spin studio, 2 class studios, a crèche & junior activities, cardio machines, free weights, resistance machines, a sauna & steam room and functional training. The pass is valid until the end of June 2018. Thinking of redecorating? Then this is for you. It's a 90 minute interior design or decorating consultation for a home or office space with The Design Platform. The Design Platform Limited provides interior design and interior decorating services to business clients, property developers, private clients and commercial groups. They have worked with property and commercial developers, providing award winning showrooms interiors and furnishing solutions. As a unique luxury interior design company, The Design Platform can offer designing, decorating, renovating and styling services for luxury homes, apartments, offices and work spaces. They are interior architects and designers with a memorable portfolio of inspiring residential and commercial interiors. Creativity and designing is their passion; they are inspired by unique colours, patterns and materials. The dynamics of space and layout captivates them so they are confident to explore and embrace new ideas. Balancing creative design with project planning allows them to focus on delivery in a hospitable and professional manner. Their excellent client relations ensure a highly professional, personalised project delivery of your needs. By sharing their passion for the possibilities of unique concepts and design with you, they can create individually tailored projects of quality and integrity. It's always nice to capture family memories! 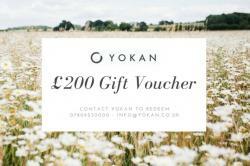 You are bidding on a family photography session with Yokan. You will have an amazing family photoshoot and receive 11 full resolution copyright free digital photographs from the session. You'll get to chose the time and place - outdoors or your home is usually best - and they'll spend around an hour and a half photographing you and your family in various scenes and focusing on capturing natural, beautiful shots of you all. After the shoot they will edit the photos and visit you at home to show you the finished selection, making it easy for you to choose your favourites. Don't forget this item includes the shoot and 11 digital photographs. Do you love taking pictures and would you love to learn to capture those images perfectly? What's more, would you like to learn this with a full day photographing stunning big cats with guidance from a master photographer? Then this is for you! You are bidding on exactly this - a full day photographing stunning big cats with guidance from master photographer Matt Fisher. You will gain valuable experience as you get up close and capture stunning images of some of the rarest and most beautiful cats on the planet. The day is held at the Cat Survival Trust in Welwyn Garden City. The session will be 10-4pm with lunch and refreshments provided. You need to book the session within 2 weeks of winning the auction but you are free to take the session any time in 2018. Does your little one love dinosaurs? You are bidding on 4 tickets to Walking with Dinosaurs at the O2 Arena. The seats will be house seats with an amazing view! This globally-acclaimed production is based on the award-winning BBC Television Series and stars Michaela Strachan as "Huxley" the palaeontologist. The show is on between 14-19 August 2018 - your choice of tickets will be subject to availability. Do you love a girls night out? Then this item is for you! You are bidding on a Girlfriend Party for 6 people at Bare Minerals Boutique, St Albans. 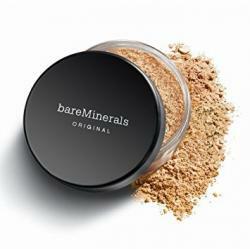 This is the ultimate Bare Minerals experience. You will discover insider tips and techniques for flawless, radiant looking skin, especially tailored to you. It will be 90 minutes that will be totally worth it! The party will be on a Thursday 5:30-7:30pm and can be booked with the boutique. Love rugby? Then this is for you! You are bidding on 2 tickets to the Aviva Premiership Rugby Final at Twickenham on 26th May in the lower east stand. Do you fancy getting creative? 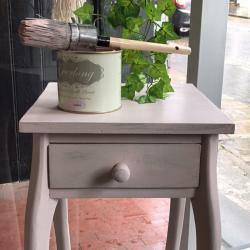 You are bidding on one place on a workshop at Cositas in St Albans to transform either a small piece of your own vintage furniture or a small teak table supplied by Cositas using a variety of chalk paint techniques. Get creative with confidence as our experts teach you skills such as sanding, stencilling, metallic highlights & so much more. With a maximum of 4 participants in each class, you’ll be able to ask questions, try things out and finish up being very proud of your creation. We provide everything you need for your workshop including refreshments, materials and an apron. The course will be held at Cositas, 32-34 Holywell Hill, St Albans. There is plenty of parking available nearby (prices vary) but please be aware that St Albans can get very congested so do leave plenty of time for your journey. Course can be booked direct with Cositas - date will be subject to availability. 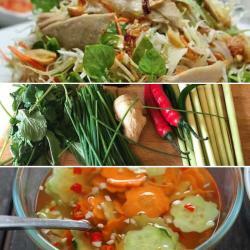 A two course evening Vietnamese Cookery Class for up to 6 people to be hosted in the buyer’s kitchen. The two courses will be from the Fleetville Taste of Vietnam menu, agreed with the chef (Anne Nguyen Harvey) before the event. Anne will talk you through the creation of the courses and cook a meal for up to 6 adults, providing all the ingredients. The buyer of this unique experience will need to be able to have the space in their own home to host the group. Ever wanted to make your own or your child's clothes? Well this is the answer! You are bidding for a one-to-one learn to sew tutorial with Rachael Botley. You will receive 5 hours (2 x 2.5hour sessions) one-to-one beginners dressmaking tuition, in which you will learn to sew a simple garmet of your choice. The tuition will take place in Rachael's home in Fleetville, St Albans. Suggestions of items suitable for a beginner include a simple skirt, shift dress, top or child's dress. 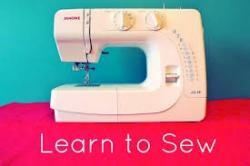 You will learn to interpret a commercial pattern, pin & cut fabric, sew & finish seams. Dependent on the pattern, you can expect to learn some other techniques such as hemming, gathering, sewing darts, pleating or insering a zip for example. Included will be full instruction, use of a sewing machine (or you can bring your own) & light refreshments. There will be a wide range of patterns for women and girls which can be used or you can bring your own but you need to agree on the pattern. You will need to bring 1.5-3 metres of non-stretch fabric plus thread and fastenings dependent on the pattern. Rachael is a keen seamstress and is generously offering this auction item in her free time. Rachael is a hobby seamstress and very talented. She doesn't sew for a living. 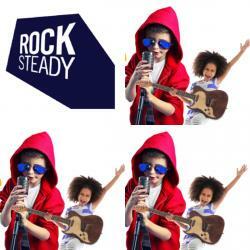 Fleetville is full of little rockstars thanks to Rocksteady! You are bidding on a term of Rocksteady lessons for any child in reception, year one or year two at Fleetville Infant School. The child can learn drums, guitar, keyboard or vocals in their own band (subject to place availability). They will have weekly lessons throughout the term and perform in an end of term concert. Fancy a day of uplifting music this summer? You are bidding on a family of four pass to Folk by the Oak. This is a one day festival at Hatfield House on Sunday 15th July 2018. 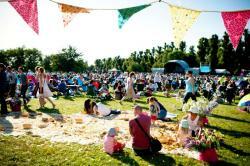 Folk by the Oak is a festival of fine folk, roots and acoustic artists gathered together in beautiful leafy parkland for one uplifting summer day of music. It's family friendly and fun for all ages. The line up includes Amy MacDonald and Billy Bragg with many more names to follow. Whilst the music plays there is so much to do for all the family and this festival was voted Best Kids’ Festival in 2017. Storytelling, face painting, make your own fairy door, music workshops and bubble creations are just a few of the activities you can experience. Who can't resist a bottle of vintage Champagne? You are bidding on a bottle of Perrier Jouet Belle Epoque 1996 Vintage Champagne 75cl is the most surprising and richest in contrasts of all the Perrier Jouet vintages. 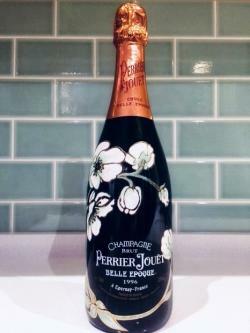 The 1996 vintage displays maturity and freshness, which combine in a surprising and exception illustration of the Perrier Jouet style. It is inspired by the beauty of nature, this vintage is an astonishing Champagne. Light gold in colour with notes of honeysuckle, magnolia and citrus on the nose and flavours of white fruit and a hint of almond milk. It’s a fresh, extremely well balanced and precise cuvee. The bottle is adorned with its floral decoration since the wine was bottled. The grape blend includes Chardonnay, Pinot Noir & Pinot Meunier. Are you a whisky connoisseur? You are bidding on a bottle of Nikka Gold & Gold Whisky from Japan. 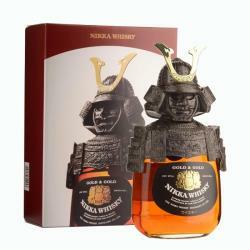 This blended whisky created by Japanese producer Nikka comes with its own metal Samurai helmet and armour. It was an exclusive to travel retail in Japan so it is unavailable elsewhere except on the secondary market. It’s 75cl and 43% abv. The malt whisky in the bottle comes from the Yoichi distillery. This bottle's official name is "Shirobin" meaning ‘white’, despite the label being back. Do you love eating out, especially in our own city? Your are bidding on £100 credit to spend at The Loft, St Albans. The Loft serves the best of British produce, cooked simply but with imagination. They champion local suppliers and have a wine list offering variety. It's a stunning setting in a 600-year old building in the heart of the city. The owners, Nick and Louise Male, owned acclaimed The Larder restaurant in Clerkenwell and Grays Inn Food in WC1, London. Award-winning chef Nick was Executive Chef at Conran Restaurants and Head of Food Development for Harrods. The £100 credit can be used Tuesday to Thursday. Love makeup? Then this one is for you! You are bidding on an exclusive Beauty Bash for up to four people at Benefit, St Albans Boutique. The Beauty Bash is an after hours makeup masterclass to learn makeup tips where you can enjoy the store alone to relax and pamper yourselves. The session is for 4 people and will last around 2 hours. You can take nibbles and drinks with you to make it a great night out! On the evening you will be able to purchase products at a discount of 10%. Beauty Bashes can take place weekday evenings starting at 5pm, or Sundays at 9am. You are bidding to do just that with this studio shoot session with Photographic Synergy at their studio at Willows Farm. This package also includes a £100 gift card to redeem against any products from your shoot such as photographic prints, desktop frames, wall decor, digital images and more. This is perfect for families, babies, pets or as a treat for yourself. Do you or do you know someone who is a keen Arsenal fan that would love to go to watch them play at The Emirates? You are bidding on two tickets to watch Arsenal v Burnley at The Emirates Stadium on Saturday 5th May 2018. It's a 3pm kick off on the day. Tickets are in block 102, upper tier, row 2, seats 327 & 326. This is second row, top tier in the home team (Arsenal) area. You are bidding on one term of classes for one child at one of Monkey Music's new venues in St Albans, including free membership. 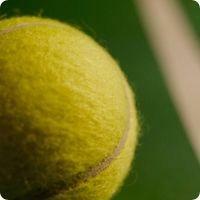 The venues are The St Albans Tennis Club on Thursdays or Homewood Road Church on Fridays. The term is 11 weeks starting w/c 30th April running until w/c 16th July (excluding half term w/c 28th May). You are bidding on two tickets to The Battle Proms at Hatfield House on Saturday 14th July 2018. 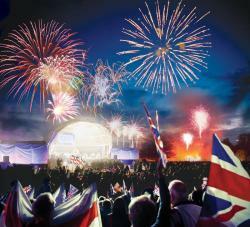 The Battle Proms is a summer celebration with music, Spitfire, cannons, cavalry and fireworks, all in the historic and leafy Queen Elizabeth Oak field at Hatfield House. The creation of the Battle Proms came from a desire to make best use of the 200 live firing replica Napoleonic cannon that were taking up a lot of room in the yards of the English Field Artillery Company. The only sensible use for this amount of guns was to perform Beethoven’s 'Battle Symphony' as he intended, with 193 live firing cannon providing a thunderous percussion! 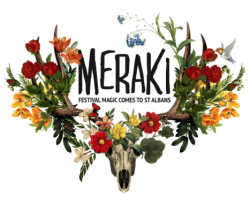 The Meraki Festival is returning to the Hertfordshire Showground in Redbourn this August. It will feature a lineup of top live music acts across 3 stages. You are bidding on 2 adult tickets for the Sunday evening on Sunday 12th August 2018. Just announced - 10cc will close the festival on Sunday evening. They are among the most inventive and influential bands in the history of popular music. They have achieved global success and sold more then 30 million albums worldwide! Take your chance to swing those arms to "I'm Not in Love" on Sunday 12th August! The activities at Meraki are all-inclusive – once you’re through the gates, you can enjoy all festival features for no extra cost - excluding food & drink. Do you love a family day out? 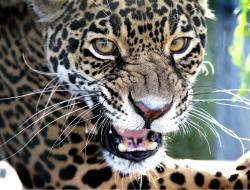 You are bidding on a great day out for a family of 4 (2 adults and 2 children) at Woburn Safari Park. You can choose any day to visit up until 31st October 2018. How would you like to have dinner at Hertfordshire Life's Restaurant of the Year 2017? 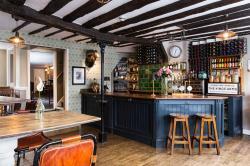 You are bidding on a 3 course Bill of Fayre meal for 2 people with a £20 wine voucher at Dylans Kings Arms. 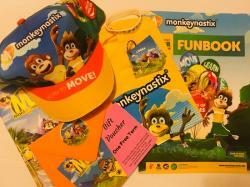 Monkeynastix hamper that includes a voucher for a FREE term of Monkeynastix classes (run at school), a t-shirt, hat, rubber bracelet, keyring & activity book. Can't resist some Ibiza dance tunes? Then this is for you! You are bidding on 2 adult tickets to Classic Ibiza at Hatfield House on Sunday 1st September 2018. 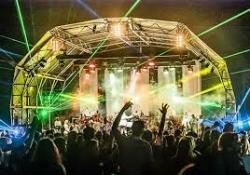 This will be Hertfordshire's biggest dance party of the summer full of iconic Ibiza anthems. A chill-out set in the first half will be followed by a half hour interval with the DJ playing the latest Ibiza tunes. As dusk falls, the lasers will hit the Hatfield skyline as the Urban Soul Orchestra return to bring some of the best of the White Island's dance tunes to orchestral life. It's going to be a night to remember! 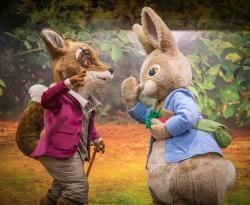 This is one of the best family days out in the country and is right on our door step - as well as being very topical with the release of the Peter Rabbit movie. You are bidding on four admissions to Willows Activity Farm and Peter Rabbit Playground. Everything to have fun is included in your ticket (excluding food & drink) to ensure you have a carefree day out. This includes all shows, fun fairground rides, carousels, inflatables, tractor ride, acres of outdoor space, an under cover soft play, the one of a kind Peter Rabbit Adventure Playground and the brand new Mr Tod’s Lair and Super Secret Squirrel Nutkin Test. Not forgetting the farmyard animals! The ticket can't be used for the Santa Spectacular entry but you won’t want to wait that long to visit - make the most of Spring and Summer on the farm! Fancy a new hair style? You are bidding on a cut and blow dry with Sarah or Candi, one of the salon owners, at Toni & Guy Hairdressing in St Albans. The voucher is valid until 30th September 2018. You live in your skin and it deserves pampering! 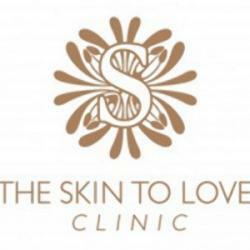 You are bidding on a Glycolic Skin Treatment at The Skin to Love Clinic in St Albans. This is a popular treatment that gently exfoliates the skin to reveal rejuventated, refreshed, smooth, healthy looking skin. It's the perfect way to boost your usual skincare regime for both males & females. This will be valid until 23rd June 2018 and you must book in advance to ensure the treatment takes place before the expiry date. Did you know The Ivy is coming to St Albans? Very soon The Ivy Brasserie will open its doors. Be one of the first to make a booking! 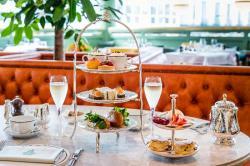 You are bidding to enjoy champagne afternoon tea for two people at The Ivy St Albans Brasserie. If you win this item you will need to pre-book to enjoy your Champagne Afternoon Tea for a Monday to Friday (excluding bank holidays), subject to availability. This will be valid from when The Ivy Brasserie opens in St Albans in Spring 2018. Any extras will be charged at full price plus service charge. Enjoy dining out in St Albans? 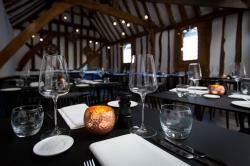 You are bidding on a meal for two at The Beech House, St Albans. It includes starter, main course and dessert Monday to Thursday, except Christmas Day, New Year's Day, Valentine's Day, Mother's Day or bank holidays. The Beech House has a glass facade and inside you'll find an extensive bar area with a range of comfortable seating options and wifi. You can witness the chefs preparing the Mediterranean-inspired menu in an open kitchen, complete with Josper grill and wood-fired oven. They also offer an extensive and varied drinks menu. 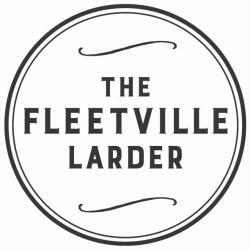 You are bidding to enjoy a Friday evening dinner for 4 people hosted by Ed Bevin at the Fleetville Larder, with cheese & charcuterie platters, salads, a bottle of wine and coffees. No time to shop for a new outfit? Then this is for you! 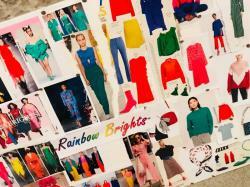 You are bidding on a virtual styling service. After completing a short questionnaire Style with Wisdom will shop your requirements and send you a look book with a link to all the pieces to shop from home. This is great for a special occasion, holiday wardrobe or seasonal updates. Lisa from Style with Wisdom is lovely and very talented at finding exactly what you are looking for. She is a personal Stylist and Shopper and will work with you to make the most of your existing wardrobe as well as identifying where the gaps are with consideration to seasonal trends and the ideal capsule wardrobe! You can then use the Personal Shopping service for 1 on 1 support to shop the stores and have fun trying on new looks, colours and styles to build on what you already have. Shopping shouldn't be daunting, it should be fun, and Lisa is here to help it be just that. Do you have a little linguist? This is for them! You are bidding on a free term of lunchtime fun French classes for your child at school. 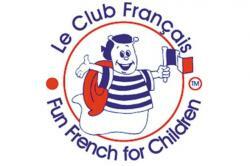 At Le Club Francais your child will be learning French through roleplay, singing, rhymes, games & stories. These activities aim to enhance children's speaking and listening skills whilst increasing their confidence and enjoyment of a foreign language. 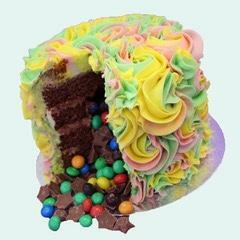 Your are bidding on a delicious 6 inch round chocolate cake filled with sweets & chocolates and decorated with rainbow swirls. This cake will feed 8-10 people. It must be ordered in advance with a minimum of 1 week’s notice and is valid until 1st October 2018 (order must be before this date). You are bidding on a £50 voucher for a Wish Upon A Party party. To receive £50 off your party it should be booked within 12 months of winning the auction item. Wish Upon a Party is a company built on creating beautiful birthday memories for children of all ages. They know how important it is to make sure that your child’s special day runs as smoothly and as easily as possible, so that all of the family is able to celebrate and join in the fun! Do you have a little Einstein? This could be worth it! 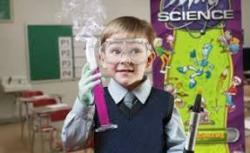 Mad Science brings kids the fun, the amazement and the wonder of all things science. They transform laboratory science into fun, interactive learning experiences for kids. Looking for something fun to do with a little one under 5? Then Gymboree Play & Music St Albans could be the answer. You are bidding on a free month’s membership which entitles one lucky little one (0-5 years old) to a class of their choice for one month and unlimited access to open gym for the month. 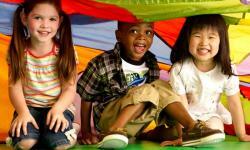 Experience Gymboree's award-winning classes in the city centre of St Albans. 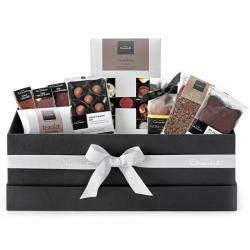 Can we tempt you to bid on this carefully curated Hotel Chocolat large gift box? It's bursting with many of their best-loved recipes and is the perfect way to spoil someone or yourself! Having a party? We have the cake sorted! You are bidding on a personalised gateau & 12 cupcakes from Simmons Bakers - perfect for any party! Do you think you have a little Murray in the making? Then this is for you! You are bidding on a one hour tennis lesson with a professional coach for the WHOLE family at Salisbury Tennis Club on Salisbury Avenue in Fleetville. Do you love a local family day out? 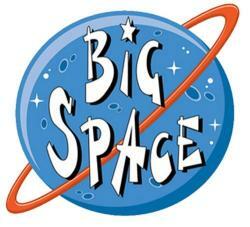 You are bidding on a free family day pass for Big Space Indoor Play in Harpenden. Entry is for a family including up to 4 children. The voucher will be valid until 29th June 2018. Would you love your child to be able to speak a foreign language? Then this is your chance to get them started. 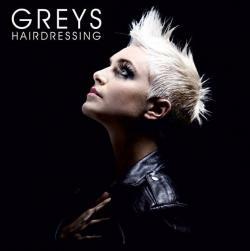 You are bidding on a full wash, cut & finish service at Greys Hairdressing, St Albans with a graduate stylist Monday to Friday. It includes a full hair & scalp consultation with hair care & style advice. 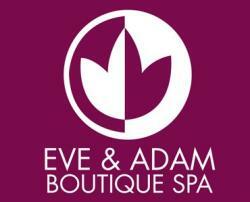 Your are bidding on a 25 minute Swedish back, neck and shoulder massage at Eve & Adam Boutique Spa in the centre of St Albans. It was the first high street "Boutique Spa" to arrive in our city, right in the centre, just away from the hustle and bustle of the market. It is unique, friendly and tranquil. A perfect place to enjoy this massage. Help your little ones to love stories! You are bidding on a block of 6 Jolly Bookworm classes. Jolly Bookworms classes inspire pre-schoolers (age 2 -5) to love books. At Jolly Bookworms they read stories, play games, do craft & have lots of fun! You would join a class in the current timetable where there is space and the classes need to be taken before 20th July 2018. Classes currently run locally at St Paul’s Church on Hatfield Road and the scout hut on Oakdene Way, so very handy! 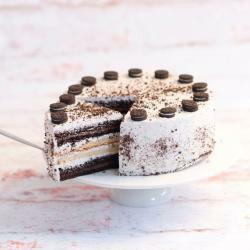 Love cakes - then this is for you! 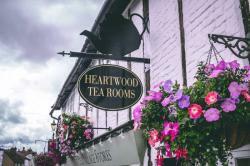 You are bidding on afternoon tea for two at The Heartwood Tea Rooms, Sandridge. This lovely tea room is very near to the wonderful Heartwood Forest on our doorstep and would make a lovely treat after a long walk. You are best to book in advance for this! The voucher will be valid until 20th December 2018. 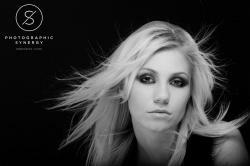 Would you like to have your hair done at one of the most sought after salons in St Albans? You are bidding on a blow dry to the value of £35 with any of the stylists at Trinder Hair Studios. Trinder was the winner of the Best Hair Salon in the Muddy Stilettos Hertfordshire Award 2017, less than a year after opening. 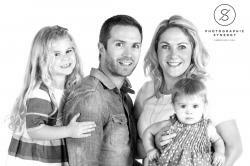 Marc & Sophie Trinder have a combined total of 22 years’ experience of working in a 5 star central London salon. Charles Worthington, himself, rates Marc and gave him his full support and blessing when he started this new venture. The voucher is valid until the end of September 2018. Love a festival? Well they don't get more local than this! 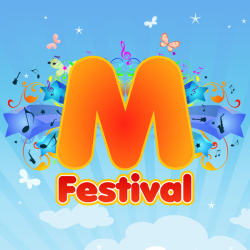 You are bidding on a family ticket (2 adults, 3 children) to M Festival 2018 on Saturday 30th June 2018 at the Marlborough Science Academy. There's music, food, entertainment and so much more - it is sure to be a great family day out! 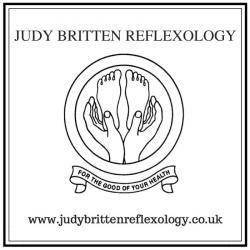 You are bidding for a full reflexology treatment with Judy Britten. Reflexology is wonderfully relaxing for both body & mind and aims to re-balance and promote the body's natural healing process. Suitable for all ages. Do you have a little Jackie Chan? This is for them! 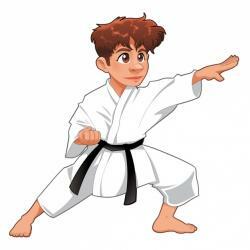 You are bidding on a month of Karate lessons during May 2018 for a beginner. The lessons take place every Saturday at Marlborough Science Academy, St Albans. 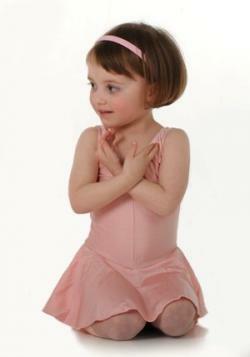 Do you have a budding little dancer? You are bidding for a £30 voucher to spend on dance classes with Penny Waterman School of Dance. There are lots of classes to chose from including ballet, tap and musical theatre or it can be used for fees of a current pupil. There are classes across St Albans on various days and at various times. Please check the website (www.pennywaterman.com) for full details. The voucher expires at the end of July 2018. Fancy a day out with some fast cars? Then this family day out ticket could be for you! You are bidding on a family day pass for 2 adults and up to 6 children to the summer nationals drag racing championship at Santa Pod Raceway near Northampton on Sunday 1st July 2018. This event is headlined by MSA 200mph pro mods, drag bikes, nostaglia classes and the jet car. A drag race is an acceleration contest from a standing start over a measured distance on a short, straight course. Races are run in tournament-style eliminations with the winner of each match progressing and the loser being knocked out. Starts are controlled by a traffic light system and first to the finish line wins. Santa Pod is on a decommissioned RAF base and has been established as Europe's first permanent drag racing venue. It's an action packed venue. A great item for little ones to engage them with their love of stories! 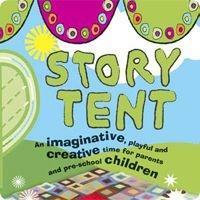 You are bidding on 5 sessions of Story Tent fun at the Trestle Arts Base on Russet Drive. Each session is an hour long and involves creative play, storytelling & craft activities for pre-school children and their carers. A chance to bid on a fabulous local play park experience. You are bidding for play entry for 2 children including squash, plus coffee for 2 adults at either DJ's Jungle, St Albans or DJ's Play Park Hemel Hempsted. What better way to relax than spend the day at a spa! You are bidding on a day pass for Verulamium Spa at Westmister Lodge, St Albans. The pass is for one guest for any Monday to Thursday booking, valid until 1st October 2018. Cellar Door Wines is like having your own wine cellar door. This great wine shop just off London Road in St Albans is the place to go to find the perfect wine. You are bidding on a £20 voucher to spend at Cellar Door Wines on their wines by the glass or tastings. They have an amazing "wine machine" - pop in your card, select your wine and sip it in store. Enjoy! Love beer? This is for you! 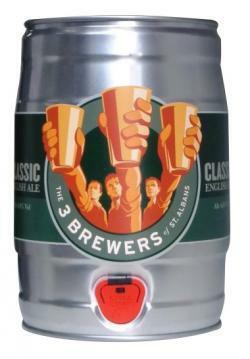 You are bidding on a mini keg of award winning local beer brewed by The 3 Brewers of St Albans. The keg contains 5 litres of beer - 8.8 pints. 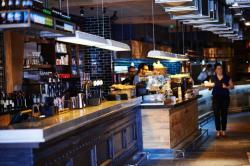 Some would say this is the best place for brunch or a burger in St Albans! You are bidding for a £20 voucher to spend at Hatch. 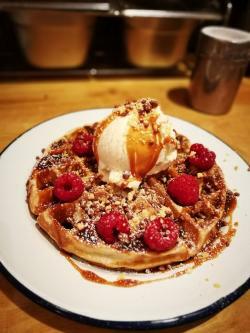 Honestly the brunch is amazing - not to mention the burgers! Learning to play an instrument is great for everyone! 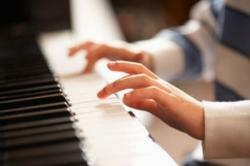 You are bidding on a 30 minute taster piano lesson for your child or yourself with Susie Arbeid. The lesson can take place in your own home (if you have a piano) or at Susie's home in St Albans. This is a one-off lesson and will be at a date and time convenient to you and Susie.